We rejoin Mr. French on his sojourn in Kerry though a further south in this case in Waterville. Holy Island sounds like a great place to sit in the ruins in quiet contemplation? 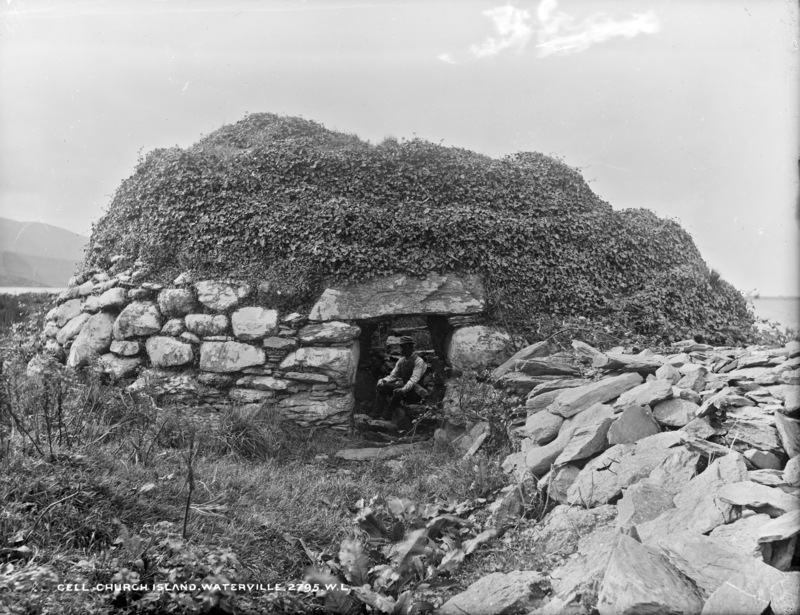 Saint Finan's cell on the 25" map aka Finan of Lindisfarne per wikipedia which notes: Finan was active for some time at a monastery on Church Island on Lough Currane in County Kerry; today it is known as St. Finan's Church. I remember a story from many years ago about Church Island, it was to do with a Feast day (probably St FInans) where locals on visiting the Island would leave money under stones on the Island hoping for some indulgence or other. In the days after the feast men in need of a Pint would be seen visiting the Island for a spot of stone turning!! Congratulation for your beautiful Album. Nice Week End.